Christine: Happy holiday, your exam over! Want hang-out? Where you want to go? Me: Yep, papers done. Can relax. Hehe. I want hang-out but I have no idea where to go. Christine: I’m bored. Wanna go Mid Valley tmr? 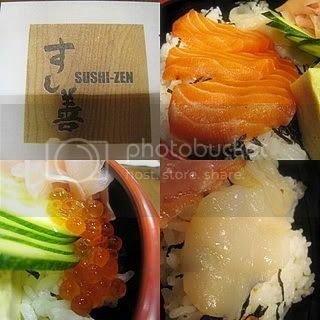 Wanna try Sushi Zen! Besides, I wanna get present for my friend. Me: Tmr??? [O.o] Okay, I am very free. I wanna try Sushi Zen too! 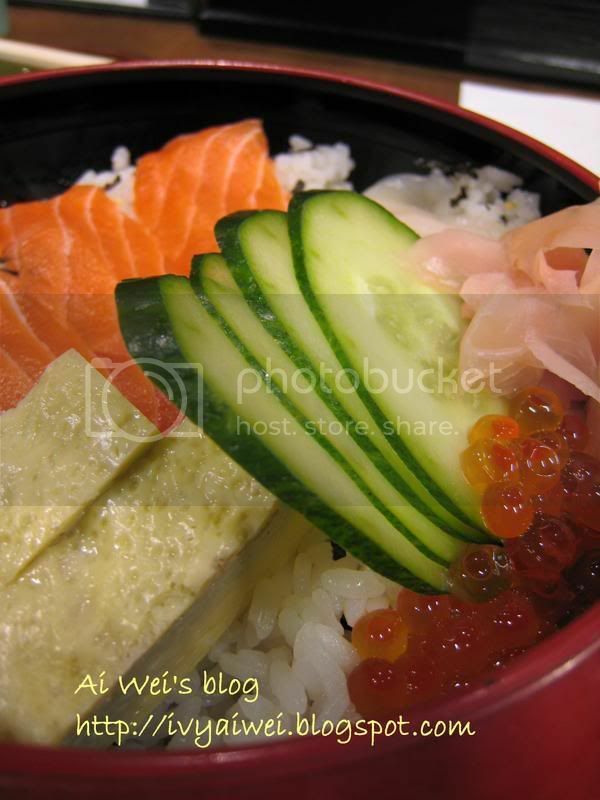 Too long time nv hav Jap food! Can’t wait! Christine: then I will be at ur hse at 10.30am. See you gal! Me: See ya tmr. Can’t wait can’t wait can’t wait! 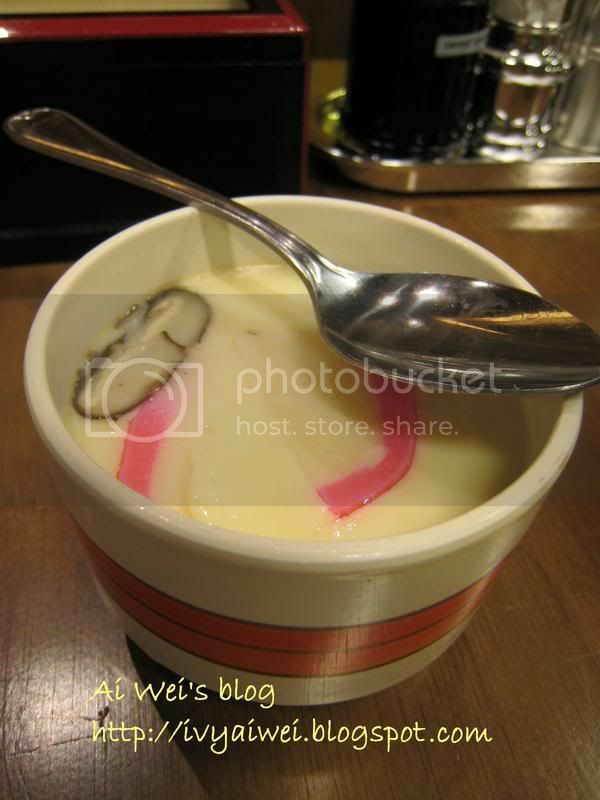 茶碗蒸し Chawanmushithe steamed egg custard was flavourful and smooth soft silky. We couldn’t help ourselves with it and kept feeding our stomach. It was real slippery when spoonful of it went down through my esophagus. I could feel that! 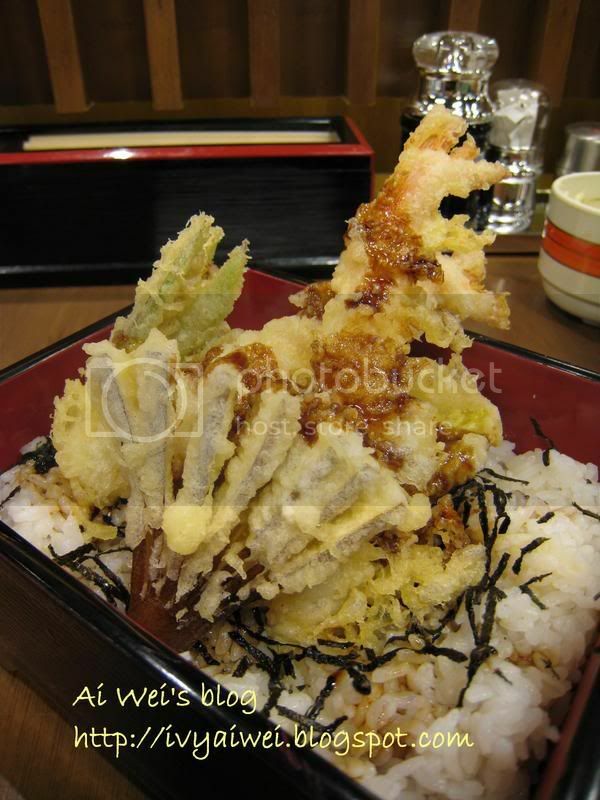 .As for the main, Christine had 天寿 Tenjyu which came in assorted tempura (large prawn, eggplant… ) on rice. They were arranged neatly in the bento box. Christine gave me a prawn as she can’t take too much prawn. The prawn was still juicy after tempura-fried. I ordered the 北海ちらし丼 Hokkai Chirashi Don which came with Hokkaido seafood (scallop slices, salmon slices, salmon roe) on sushi rice. The serving was large and at just Rm 15.90. Scallops, salmons and the roe were very fresh. I felt so bahagia in a sudden as it has been a very long time since my last Jap meal. Am I exaggerating too much?! Christine wanted to order more but I hold Christine from doing so because I was afraid we couldn’t finish all. And that was a right choice to do so as our mains were large. We both enjoyed this lunch a lot and gave Thumbs-up for our choices. And she bought a new canon power shot camera which is very handy and advance. *envy* like her camera with lots of function. During out lunch, we have listed out some place/restaurant to try out next. The list was kinda long. So, Christine, where and when’s next? the gardens got alot of sushi shops hor. i’ve been trying to try sushi zen also! but u beat me there first haha. looks good. =( i havent go the garden yet!! and.. i wan sushi ZEN!!! sob sob! looks fresh… how’s the price…?? plan to go to KL this Christmas. yummy!! 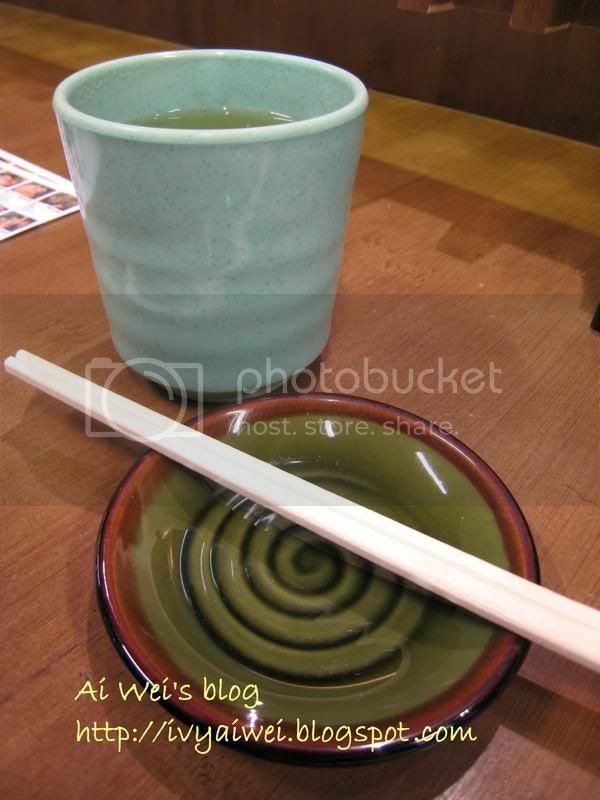 really fell in love with the chawanmushi totally!! the Dons were great as well! No regrets checking this place out with you! The Hokkai Chirashi Don looks good. The price is quite ok. Might want to try it out next time! you’ve tried it too? how’d you find bout it? nice, isn’t it?! hi, thanks for dropping by. sushi Zen is quite nice. you should try. forget about the open area dining concept. i just like it a lot! the ingredients they use are very fresh! haha, nice to eat otu with you! the price is reasonable. we could re-visit one day for other bento o noodles. i wanna try out their curry udon! I need sushi, STAT. I haven’t had it in nearly a month. Must be nice to be done with exams though. yep! no regrets! i will re-visit for more! chawanmushi! one of my favourite dish! looks really nice. yay, i am going kl next week, visiting all new shopping complex, think i gonna ask dad to visit this already.